David C. Hammack has written extensively on the history of America’s civil society, nonprofit organizations, and philanthropic foundations, and on the history of cities, the built environment, and education. His most recent books include a general history, A Versatile American Institution: The Changing Ideals and Realities of Philanthropic Foundations (with Helmut K. Anheier, 2013); American Foundations (edited with Helmut Anheier, 2010), and Globalization, Philanthropy, and Civil Society: Projecting Institutional Logics Abroad (edited with Steven Heydemann, 2009). 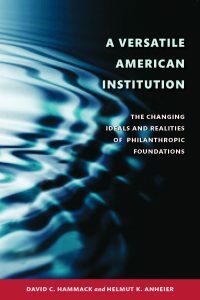 Ideals and Visions, Leverage and Self-Help: Foundations in America’s Regions, edited with Steven R. Smith is to appear from Indiana University Press in 2016. Power and Society: Greater New York at the Turn of the Century (Russell Sage Foundation, 1984) was nominated for a Pulitzer Prize; Making the Nonprofit Sector in the United States: A Reader (Indiana University Press) has been adopted in many courses. He has also contributed extensively to HistPhil.org, the blog on the history of philanthropy. David Hammack helped create the Social History and Policy graduate program within the Department of History, and he is proud of the accomplishments of the 23 students he has advised through their Ph.D. degrees at CWRU – and also of the achievements of those who completed their studies as “ABDs” and moved on to productive careers in teaching, museum and nonprofit leadership, and other fields. At CWRU Hammack also served in faculty leadership positions for CWRU’s Mandel Center for Nonprofit Organizations from its inception in the 1980s until its recent move into the Mandel School of Applied Social Sciences. He is co-editor of the Indiana University Press Philanthropic and Nonprofit Studies Series and a longtime member of the editorial board of Nonprofit and Voluntary Sector Quarterly, the leading international journal in its field. A past president of the Association for Research on Nonprofit Organizations and Voluntary Action and the 2012 recipient of the association’s award for distinguished achievement, David Hammack has been a Guggenheim Fellow, a Visiting Fellow at the Yale Program on Non-Profit Organizations, a Resident Fellow of the Russell Sage Foundation, a member of the New York Academy of History, and winner of Case Western Reserve University’s Diekhoff Award for Distinguished Graduate Teaching. 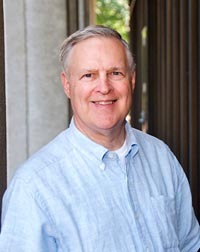 He has served on committees of the Social Science Research Council, the American Council of Learned Societies, the Rockefeller Archive Center, the Council on Foundations, and the International Society for Third Sector Research. His work on high school curriculum projects as a teacher in the Newton, Mass., public schools and as a consultant to the Anthropology Curriculum Study Project and the National Humanities Faculty led to his participation in the evaluation of the knowledge of social studies and history achieved by elementary and secondary school children reported in David C. Hammack and others, The U.S. History Report Card (Princeton, New Jersey: National Assessment of Educational Progress, 1990). David Hammack chaired the board of Community Shares of Greater Cleveland, 2005-2008, and has advised many nonprofits, including the Council on Foundations and Cleveland’s United Way, Foundation Center, Jewish Community Federation, Sight Center, Western Reserve Historical Society, and David Shimotakahara’s GroundWorks dance company. 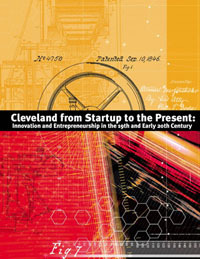 For his writing on the economic history of Northeastern Ohio, see Cleveland From Startup to the Present. He has also played a strong role in two documentary films about New York City’s history, The City of Greater New York: The Story of Consolidation, and River of Steel, and with his wife Loraine he was a lead consultant to The Struggle for Integration in Shaker Heights, a documentary film on the Cleveland suburb, broadcast nationally on PBS.